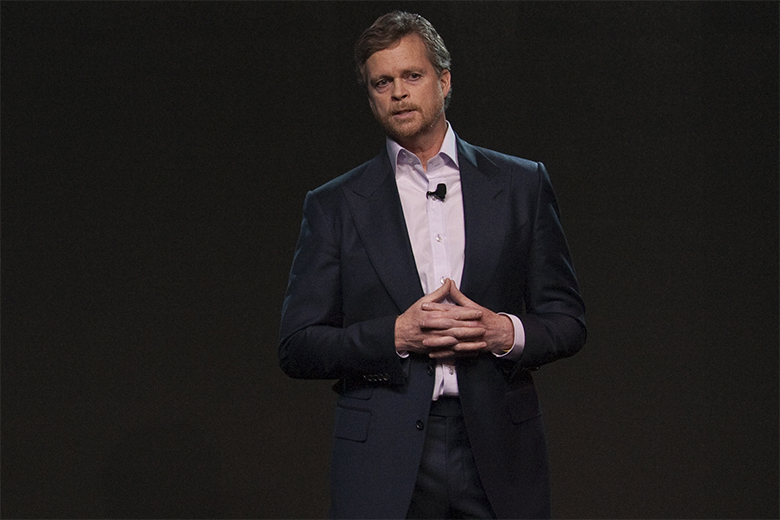 Beneath his calm and measured demeanor, Nike CEO Mark Parker harbors an intensively creative mind -- a mind that has driven the sportswear giant’s recent surge of success and positioned sportswear at the forefront of cool with envelope-pushing technologies like Flyknit and Nike Free. This year marked more progress in the mainstreaming of the fitness-centered lifestyle movement under the watch of Parker, with Nike’s most notable efforts being a push into women’s sportswear with the Women’s Innovation Summit in October and numerous lifestyle-oriented collaborations with the likes of Supreme, fragment design and Ricardo Tisci. Other achievements included its hugely successful “Risk Everything” viral marketing campaign at the Brazilian World Cup, as well as the launch of the novel NikeLab retail experience internationally. Under Parker’s direction, Nike’s outstanding innovation and performance across all sectors this year shows no signs of slowing down as we enter the new year.